So he has finally arrived… though in all seriousness he’s here a lot soon than expected. Still no name so I will be on the search this weekend. For the time being I’ve been calling him Puff-n-Stuff (horrible, I know). 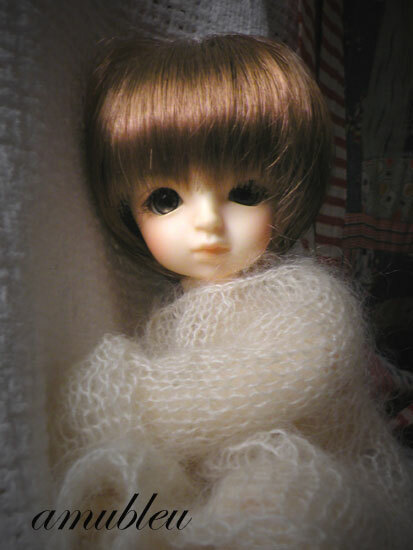 He’s a Volks Puff and first Yosd boy that made me go “awww…”. There is a long story on how I missed out on this guy when he was re-release this past summer but I’ll save you all from the boring details. I finally have him and that’s that. He’s so freakin’ cute!! I could totally nom nom on those cheeks of his. Besides clothes he needs his seams sanded, a new wig, new eyes and I’m still not sure what to do about his face up. I may just touch it up a little bit and leave it at that. I’m actually liking it a bit more seeing it in person than seeing it advertised or in photos. Other than the things mentioned before, he most definitely has his little spot within the rest of the boys. I’ll eventually get into that a bit later but for now he needs a name.